Goodness! After the Opera Buffa of Bologna it is good to be back in this our Sceptred Isle. Our host, Cardinal Montefiasco, made us most welcome, but it was somewhat disconcerting to find his 15th-century palazzo on the Via Transgenderati made our episcopal palace in Barchester look like a shepherd’s bothy. 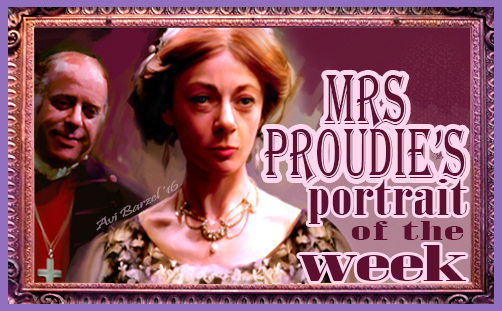 One must not covet thy neighbour’s ox, goat or any other of his leisure pursuits, so on with this week’s offering. Monday was the Feast of St. Petronius and all of Bologna was en fête. A makeshift stage had been erected in the Piazza Maggiore by a group of lentil weavers and state-privileged ‘refugees’ in readiness for a musical interpretation of their flight from war-torn wherever, cheered on by crowds of blinkered suicidalists eager to swap their renaissance heritage for bongo-drums and rhythmic hip-wobbling. One despairs of course, but with such madness sweeping Europe what can one do? Mrs. Dismay’s speech to the party faithful has gone down awfully well at Plumstead Episcopi, where Archdeacon Grantly was beside himself with glee when my Lord the Bishop and I called. Whilst taking an afternoon perambulation yesterday I noticed posters had appeared on the walls of Hiram’s Hospital warning of something called ‘fracking’. My first thought was, ‘What a nasty, vulgar expression,’ and as I peered at the small print (always a wise precaution), who should accost me but John Bold, waving a copy of The Jupiter. I felt a surge of indignation at this young man’s reference to my whalebone corsetry, but after he explained the danger we all faced, the penny dropped. Here was a cause to unite the whole of Barchester. Before afternoon turned into evening, I had organised the old gentlemen of Hiram’s Hospital into a human chain around the perimeter of the Green, singing “We shall overcome…” For my part, I withdrew to my boudoir and penned a letter to Sir Abraham Haphazzard asking for clarification of our legal position. I’d often assisted with his briefs, now I needed his guiding hand. “Oh, the Shia effrontery of the man!” I exclaimed. Salaam alaikum, dear friends, until next week.